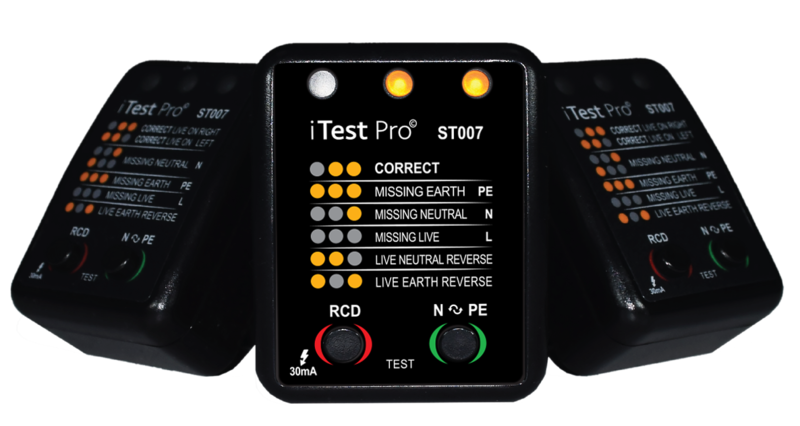 Itest Pro makes the Electrical Testing to be easy for the End User. Our innovative technology socket testers bring you most accurate results of critical faults in your wiring system and eliminate the need of the old technology and highly cost Earth Ground Testers All you need to do is plug our socket tester into the socket and get accurate results in seconds. Our new technology socket testers, made testing accessible and easy for anyone that wish to know if there are life threating faults in sockets & wiring surrounding him. Being a must Tool in any tool box of Professionals & End users. No need to be Electrician or Engineer to understand the Test results. Only need to read the short Manual and quickly you will know the fault occurred in your wiring system. Our socket testers fit to use for testing any New Electrical system in new home, building ,factory, office, hospital, and more… Or for Periodic inspection and maintenance of existence wiring system. Our Customers include End users, Electricians, technicians, engineers, manufacturers, and computer network professionals ,all the people who care for safety or put their reputations on their tool. if you’d like to do business with iTest Pro, fill out this form with info about yourself and what you’re looking for. visit the support page for help and find answers for commonly asked questions.